*All prices as marked reflect condition. No additional discounts will be given. All merchandise is sold “AS IS,” final sale, no warranty or refunds. Quantities are limited. All items are subject to prior sale. All merchandise must be paid for in full at time of purchase. No personal checks. You must provide your own packing materials and moving assistance beyond our building. Delivery is available at additional charge. No delivery cancellations. Discounts are taken off our Everyday Best Prices. Prior reductions may have been taken. 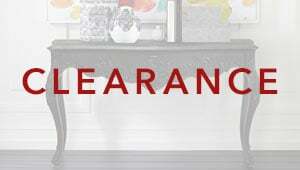 Clearance offer valid while supplies last and excludes online clearance merchandise, prior purchases, pending deliveries, sales tax, shipping and delivery charges, gift cards, and furniture protection plans. Offer cannot be combined with any other offers, coupons, or promotions. 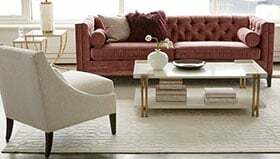 ©2019 Ethan Allen Global, Inc. Follow @ethanallen_design for inspiring snapshots of classic style, from home design to food to fashion.